Lately I have not been killing my succulents! Hallelujah! In fact they seem to be taking off quite well- so as they grow and flourish and then as I clean the garage and see a big ol’ jar in my garage it was just pure love at first sight- terrarium time! By the way, I found this jar in front of an old house that was posted as “free junk pile” on craigslist, gotta love those unexpected treasures. But now that it has sat at my house for almost a year, it was time to give it some love…. 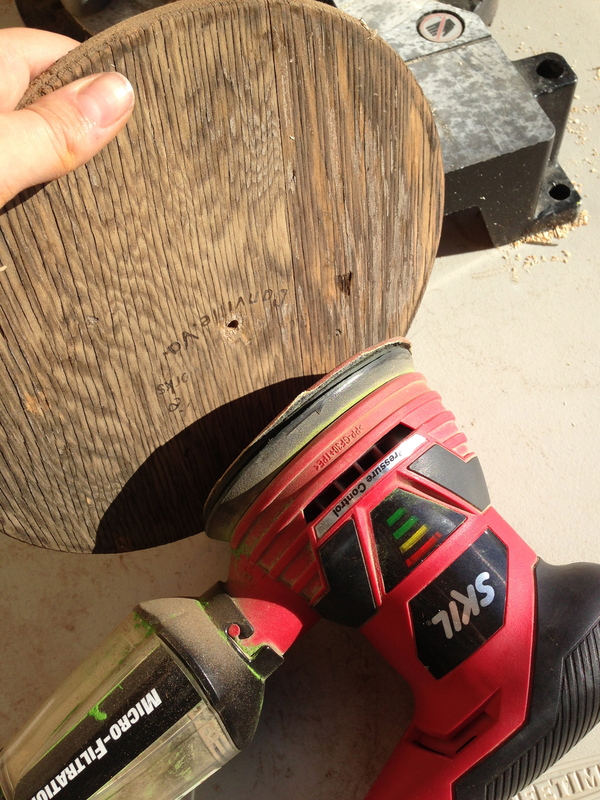 I wasn’t a fan of the rusty lid that would probably give me splinters- so sanding away I went…. Next a quick coat of spar varnish to add some shine and class it up. And Lastly I wanted to add a much cuter knob, so I went to Restore (local habitat for humanity store) and was able to get a knob for 50 cents-wahooo! Now for the plants, after all that’s what the terrarium is REALLY about! OK lets start with some terrarium 101- here is the order you want to place your elements in…. I used succulents, billy balls, crushed seashells, a bird nest, and river rocks to zest it up! Thanks for Zestin’ with me!